Change is our constant, and as the world changes it is up to us to change, grow, adapt and evolve along with it. Leave it to Tongaat Hulett the developers of the project, to do what they do best, converting sugarcane land into economic functioning hubs that run smoothly, Limblenge, Ballito and now Sibaya. The Sibaya Coastal Precinct serves as a prime example to a new way of living as it brings to life a new concept that marries urban living with natural sustainability. 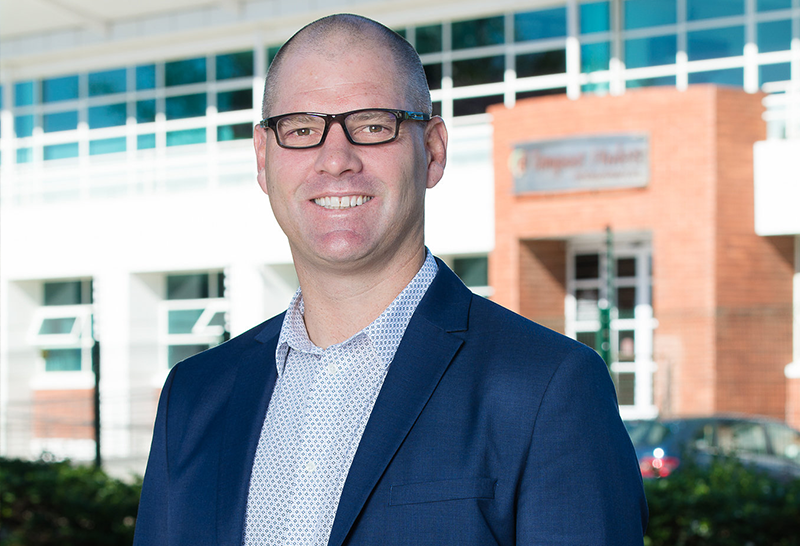 Although we have always been the “poor cousin” to our neighbouring cities, Cape Town and Johannesburg, For the first time in South African history there is a national interest in our little coastline”, shared Fern Golding’s Area Principle Gareth Bailey. Sibaya will not only be looked at as a way forward in terms infrastructure and design, but also as an opportunity for people to buy land at a central location as it falls between Benito and Umhlanga, after all “property is all about location’ shares Gareth. Comfortably situated on KZN’s North Coast, the precinct has already made a name for itself by setting the bar quite high in integrated urban design. It exists in a quadrant made up of the natural boundaries between Ohlanga and eMdlati river estuaries and our national N2 highway stretching towards the Indian Ocean. The precinct occupies a hefty 1000 hectares of land and is strategically broken up into seven different development nodes which are a mixture of residential, retail and commercial components. Of the 1000 hectares of prime beach, forest river and hilltop land, only 400 hectares will be developed. 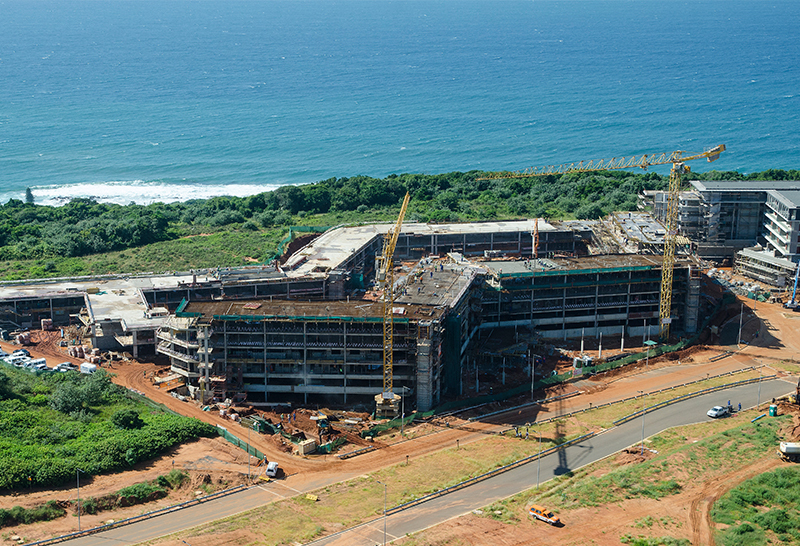 People have always looked to Umhlanga as the business domain of KM, though recently Saito has grown dramatically. In terms of retail Sibaya is said to be the point at which the two worlds will meet. Besides the impressive twenty minute journey to Durban it will also be the closest suburb to the King Shake International Airport and ten minutes away from Umhlanga. While the coastal forests and valleys will remain untouched so that they may be enjoyed by the community, the hilltops will be densely populated giving rise to job opportunities both 270 000 temporary and 30 000 permanent alike. 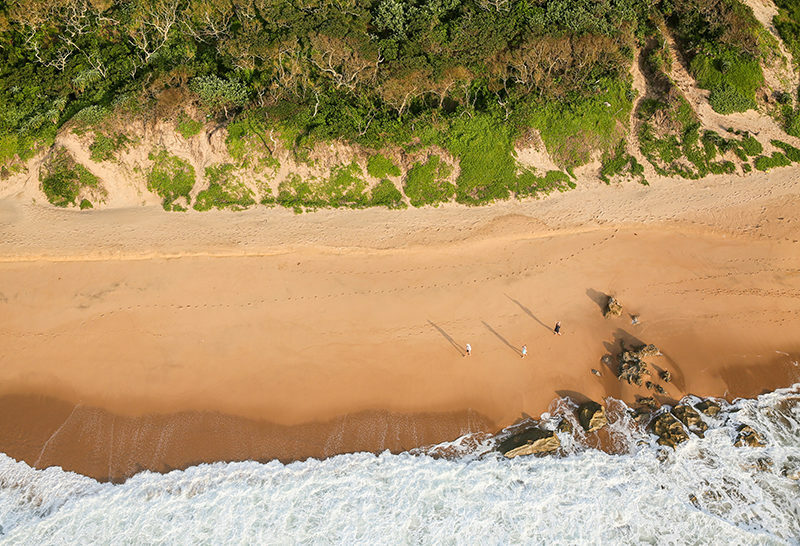 Described as the new heartbeat of KZN’s north coast by Tongaat Hulett, the precinct aims to strike the balance between a developed world and the natural untouched world around it. This will be done by interweaving the development’s natural assets with open public spaces, sophisticated transportation facilities and highlighting its amenities. Already being called ‘a city of the future’, the coastal precinct will serve as the first step towards a holistic property for the first time in South African history there is a national interest in our little coastline market by exercising integrated living along with environmental sustainability. It was in August 2016 that construction of the precinct commenced although the completion of all seven nodes will take roughly fifteen to twenty years. Nodes 1 and 5 are currently underway taking up large portions of the designated land. The two nodes makeup the residential component with 1935 units to be exact. 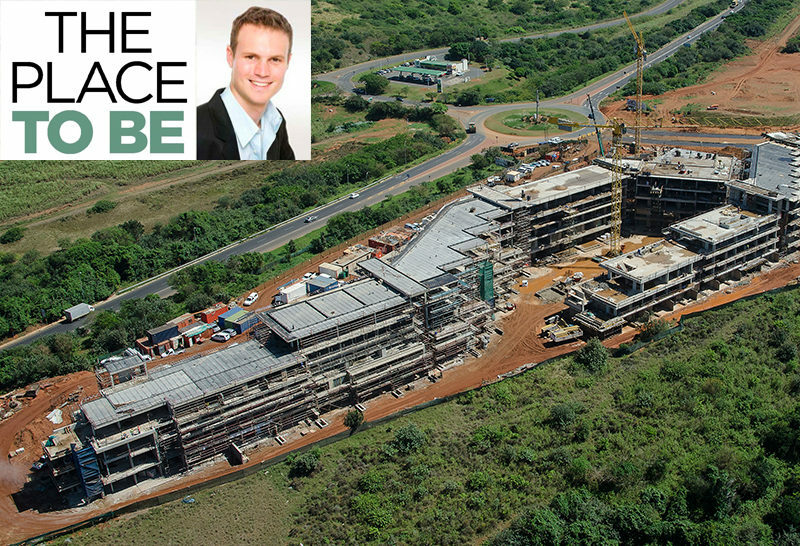 Whilst the launching of the Sibaya Central Business District in February was a huge accomplishment for the precinct, late May 2018 was just as big of a milestone as their very first residents moved into the Ocean Dune Development. Node 1 is made up of developments namely Ocean Dune, Signature. Pebble Beach, Shoreline Sibaya, Coral Point and The Sterling. Nodes 1 and 5 are connected via a pedestrian friendly boulevard that meanders through Node 1 and then joins to Node 5. As of June 2018, another little achievement has been celebrated as the landscaping of the 19 meter Heleza Boulevard has commenced. The super-exclusive Signature development is the one to watch. Made up of 45 free standing plots of land each between 1000m² to 2000m² all enclosed safely in a gated estate. Starting at prices like four million Rand up to prices such as ten million Rand it is no surprise that this elite portion of land has “put KZN on the map in terms of prices that can be achieved for land prices traditionally reserved for Cape Town and some other upmarket areas, it very high end Gareth tells us. Development Executive, Mr. Dayalan Chetty tells us about another exciting project, the Gold Coast development. This estate will be created with the ultimate amenities and facilities where people can live in free-standing homes in a gated secure estate. Much like great power being accompanied with great responsibility, great development comes with great pollution. We were pleased to hear from Dayalan that although the Precinct is a massive project, they have “approved Record of Decision and an Environmental Management Plan which is monitored for compliance by Tongaat Hulett’s Environmental Control Officer. Further, all developments within Sibaya are required to appoint an environmental control officer. What makes Sibaya Coastal Precinct so special is the idea of creating a development that adopts a mixed-use design, “which is seamlessly integrated with nature” says Dayalan. Ifs rare natural attributes include a 6.5 kilometre stretch of beach along with 300 hectares of indigenous coastal forest and not forgetting its interconnected trails and two lagoons. The Sibaya Coastal Precinct is the way forward, into a bigger, brighter and more sustainable future. 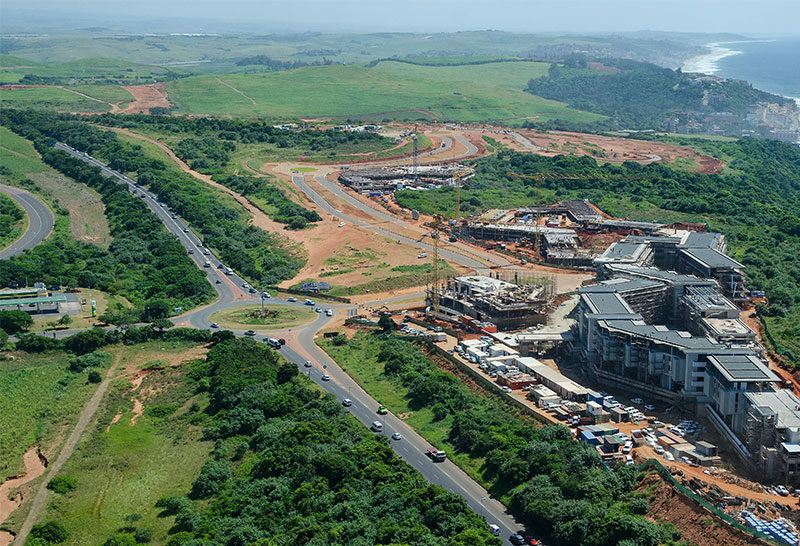 The mixed-use development gives KZN a chance to showcase what it has to offer on a variety of levels and proves that a developed world can coexist with nature instead of imposing it. It is not only our future but also our now and we could not be more proud or supportive of Sibaya as they place the first stepping stone toward a better and smarter way of life.